The tantalising promise of Aunty Beeb taking its iPlayer out of your PC and bringing it lock, stock and barrel into your TV has been part of Freesat's appeal ever since the free-to-air satellite service launched in May 2008. But, frankly, we were beginning to think it might never happen. So it's with some relief that we finally find ourselves testing the Beta launch of the Freesat iPlayer. Finally, it's here and it really does work. In fact, barring a few little issues likely to be ironed out by the time the service launches properly early in the next month or two, it works very well. Before we get to the good stuff, though, let's get a key limitation out of the way. The iPlayer only works on HD boxes, via their Ethernet ports, yet it doesn't deliver high-definition content now and is never likely to in the future. This state of affairs is actually as you'd expect, given that the iPlayer is essentially a video streaming system constrained by the often still quite poor broadband speeds 'enjoyed' by much of the UK population. 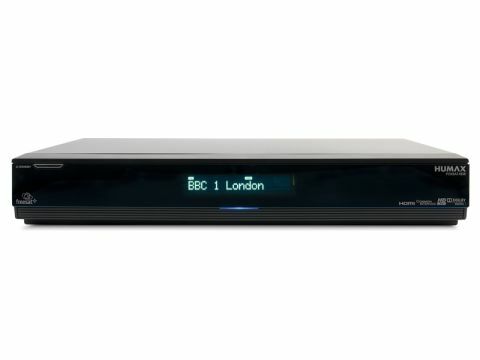 People who own Humax's Foxsat-HDR, the box being used for the iPlayer Beta, might also be disappointed to learn that they can't record programmes from the iPlayer. But then the fact that there's no lengthy download period before an iPlayer video begins to play effectively negates the need for storing onto a hard-disk drive, unless you're an old-school TV programme archiver. When the main menu screen appears it displays a selection of highlight shows, which take you through to the main playback menus if you select them. If you're looking for something in particular, or want a more intensive browse, there are Channels, Categories and Search options along the top making it easier to intensify your investigation. So far so good. Things improve even more once you leap off to a programme's 'playback' menu, as it turns out that the BBC is unexpectedly, but very thoughtfully, providing two different playback quality options, including a 'Higher Quality' one for people with superior broadband connections. For the record, the basic 'Watch Now' stream clocks in at 800Mbps, while the Higher Quality option needs at least 1,500Mbps. The playback page also lets you search for other episodes of the programme you've selected, and look for other programmes of a broadly similar nature. There's a fair amount of information on the programme available, too, despite the necessary simplicity of the onscreen menus. This information includes a brief synopsis including such information as when the programme was first broadcast and, crucially, the number of days it's available for before it disappears off the iPlayer. At the time of writing we were already impressed by the volume of content available, but this should rise to an excellent 450hrs by the full iPlayer launch. During our tests, the iPlayer crashed seven times, mostly when we used the ambitious rewind and pause features (which are quite effective when they work). But the BBC is confident such problems will be ironed out or by the time the final version goes live. For now, Beta testers get to the iPlayer by pressing the red button on BBC1, and inputting a secret code, but ultimately, it will of course, be easily available from any BBC channel simply by pressing the red button. The iPlayer's picture quality shapes up surprisingly well. Starting with the 'safe' low bit-rate option anyone can use, for instance, there's nowhere near as much MPEG block noise as we expected. Admittedly, there are still signs of it over generally monotone backdrops, such as skies and blank walls. But the BBC's compression algorithms are canny enough to keep most foreground subjects looking pretty smooth and clean. The 800k pictures also look bright, colourful and full of contrast, with our only significant complaint being a feeling that the MPEG noise is being cleverly disguised by a deliberate softness that extends to actual blurring during fast motion. Overall, though, we'd say the basic picture quality is certainly good enough to be enjoyable on a TV up to 32in, maybe even 37in if the set's processing is good. If your broadband supports it, though, we'd strongly recommend that you always watch the High Quality option, because this sharpens pictures up considerably without suddenly introducing MPEG noise, while the amount of motion blur is massively reduced. While even the High Quality images aren't quite as good as a decent Freeview/Freesat standard-definition broadcast, they're certainly good and consistent enough to be perfectly enjoyable on a 42in TV, or maybe a bit more. The BBC claims that it's still working on optimising and refining its video compression techniques, so iPlayer's image quality could improve. But crucially, even as it stands right now, it's eminently watchable on even quite a large TV, which is, frankly, more than we'd ever expected. Aside from one or two momentary lip-sync issues, the iPlayer's sound is perfectly decent too, delivering reasonable clarity and range. All in all, then, the iPlayer is pretty much all we'd hoped it would be: a streaming on-demand database of a startlingly large range of BBC programmes that's easy to use and actually eminently watchable, especially if you have a decent broadband connection. And as such, it adds quite a punch to the Freesat package, making the platform considerably more attractive and destined to have a buoyant 2010.